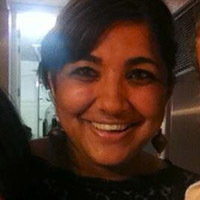 Shehn Datta is a development manager for NextGen America. NextGen America, founded by Tom Steyer as NextGen Climate in 2013, acts politically to prevent climate disaster, promote prosperity, and protect the fundamental rights of every American. Prior to NextGen, she was a program manager for strategy and planning at the Democracy Alliance managing programming and grantmaking of the Democracy Fund through strategic analysis of efforst with an Advisory Board of democracy-focused funders. She has served as a program associate at State Voices, political coordinator at Ballot Iniative Strategy Center and as an associate director for volunteer operations in the 2012 Obama Presidential Inaugural Committee.